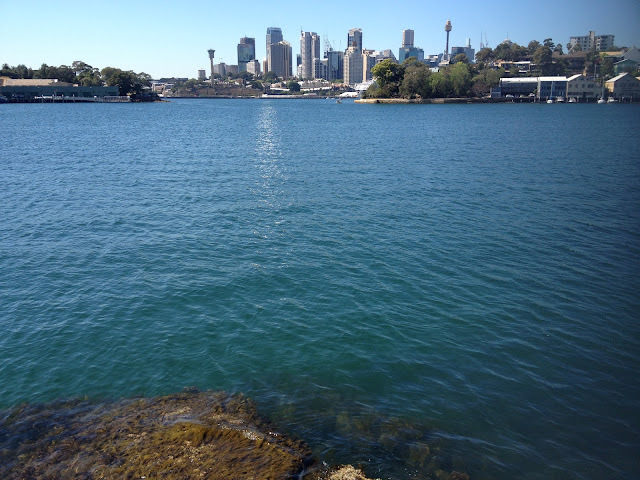 This morning, during a morning walk through Balmain, Sydney, my friend, who is a local of the area, introduced me to the beautiful Ballast Point Park, Wallam. The park was originally a wooded headline area that the Darug speaking people of the Eora Aboriginal tribe called home. Following European Settlement, the area was used as a stop for visiting European ships to unload cargo from Europe and to load hewed sandstone onboard the vessels before returning across the seas. 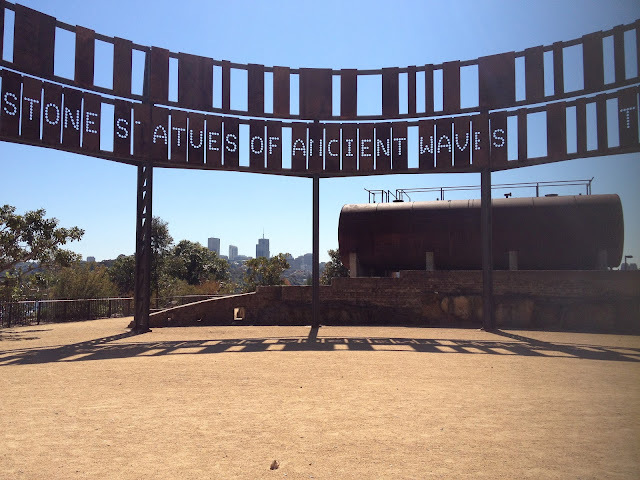 The sandstone on board the ships would act as ballasts, in order to balance the ships, hence the name of the park. Between 1928 and 2002, Caltex occupied the site, during which time they would process and store oil-related products. In 2002 however, Ballast Point Park was acquired from Caltex by the Labor State Government of the time. It has since been transformed into a beautiful park open to the public, who can now enjoy the great view of the harbour, the Harbour Bridge and the gorgeous city. The interesting aspect of the park that I loved, besides the views of course, was learning about and seeing the way in which it has been designed. The walls, decks and seating within the park is made from recycled materials. For example, the stone walls have been constructed using rubble from the site's previous use, and a gumboot can actually be spotted in one of these walls. A few old tanks have also been kept to symbolise the area's working history. 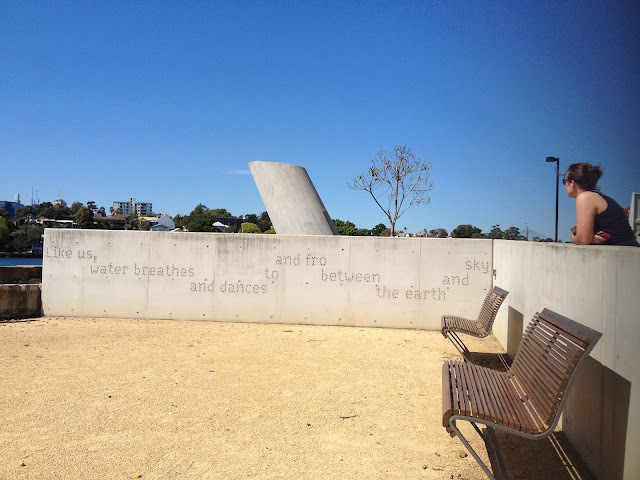 Art and poetry have also been used to bring the park to life, as have the use of native trees, shrubs and grasses. The wetland areas are also designed to filter the park's storm water before it enters the harbour. The park can be easily found at the end of Ballast Point Road in Birchgrove, and is also accessible by bus and ferry. For more information on Ballast Point Park, follow this link.